If you're all about relaxed dressing when it comes to your personal style, you'll love this uber cute combo of a black leather biker jacket and a black slit maxi dress. Let's make a bit more effort now and opt for a pair of black suede pumps. Dress in a navy casual dress, if you want to dress for comfort without looking like you don't care. 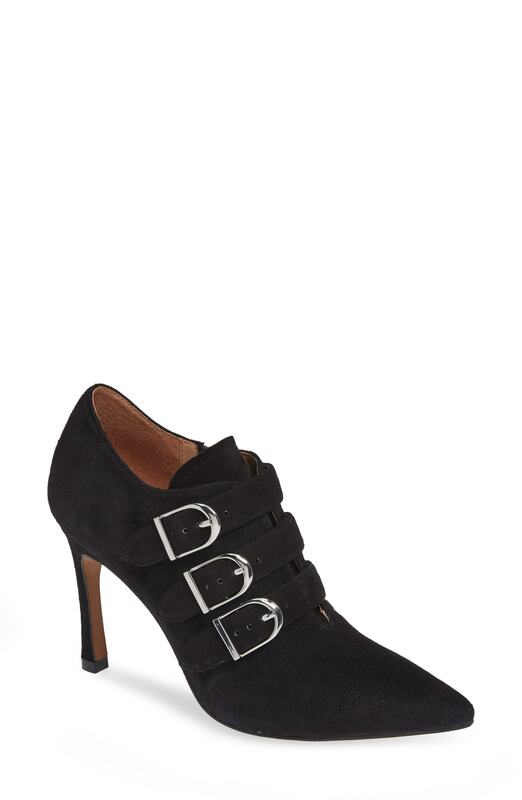 Dress up your outfit with Linea Paolo ivy pointy toe pump. If you're in search of a casual yet chic ensemble, wear a black cropped top with a white button skirt. Both garments are totally comfy and will look fabulous paired together. Amp up the cool of your ensemble by rounding it off with black suede pumps. If you don't like trying-too-hard combos, marry a navy double breasted blazer with navy paisley dress pants. Finish off this ensemble with black suede pumps. If you prefer a more casual approach to style, why not choose a charcoal fur vest and gold sequin skinny pants? Spruce up this ensemble with Linea Paolo ivy pointy toe pump. 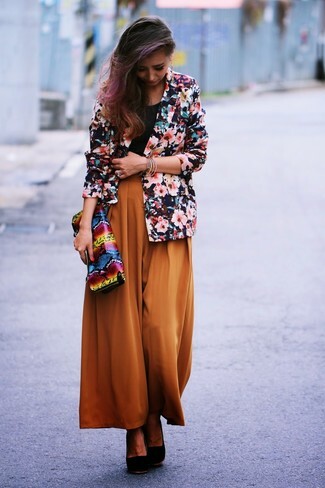 If you're searching for a casual yet stylish getup, consider wearing a navy floral blazer and tobacco wide leg pants. Both items are totally comfy and will look fabulous together. When it comes to shoes, this look is finished off well with black suede pumps. As you can see here, looking absolutely chic doesn't take that much time. Just reach for a black sequin sheath dress and you'll look amazing. When it comes to shoes, this ensemble is complemented wonderfully with Linea Paolo ivy pointy toe pump. If you're in search of a casual yet absolutely chic outfit, wear a black velvet tank with black leather flare jeans. Both pieces are totally comfy and will look fabulous paired together. You could perhaps get a little creative when it comes to footwear and lift up your getup with Linea Paolo ivy pointy toe pump.